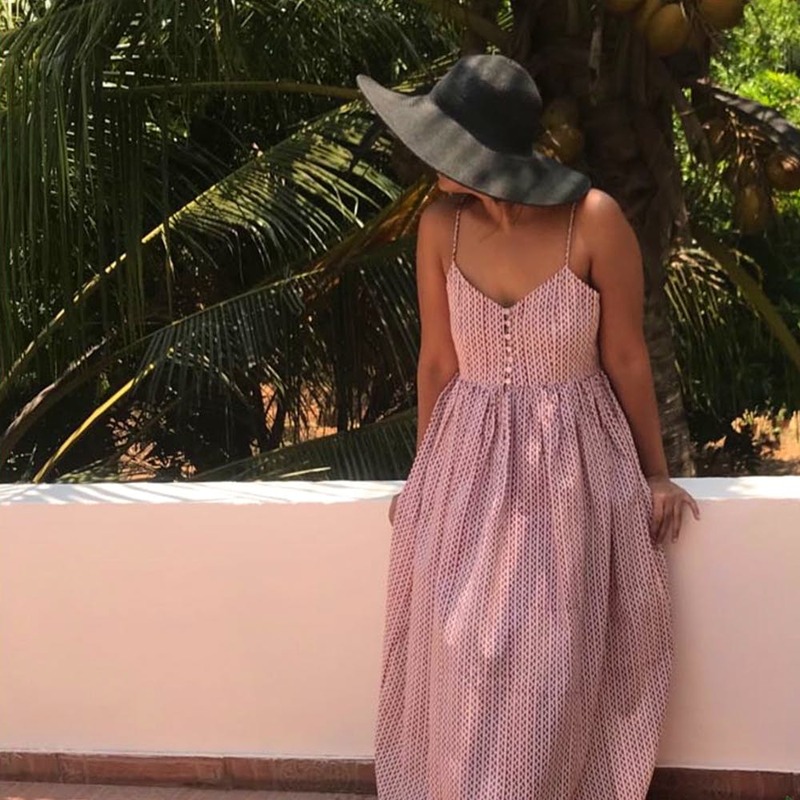 Sustainable label Ela's collection of trendy apparel like flowy hand block printed beach dresses and handloom cotton tops and long dresses with pockets are worth having in your wardrobe. Sustainable fashion is all the rage these days, thanks to millennials who are making that switch to eco-friendly and promoting local artisans and traditions. Ela does just that with their fabrics sourced directly from weavers who offer sustainable textiles. We are talking about handloom cotton and handwoven cotton and fabric like malkha all designed into contemporary pieces. The label provides an all-around wardrobe update with their collection that includes dresses, shirts, crop tops, and jackets. These modern and trendy pieces retain the charm of ethnic prints, notably the ever-popular ikkat and hand block prints. The collection is for anyone who loves the idea of flowy dresses as well as for those who prefer cute and chic pieces to complement their outfit. And if flowy is your jam, there's a whole series of them in light and dark shades. In fact, the entire collection sticks to a monochrome theme so you have white, off-white, creme, grey and black. Another defining feature that you ladies will love is that all the dresses come with deep pockets, so you can finally ditch that mini bag that you have to carry around just for your phone and wallet. Currently, their website is still under construction, so for placing orders, you will have to get in touch with them via WhatsApp or Instagram. For placing an order, you will have to send your measurements via email or WhatsApp.